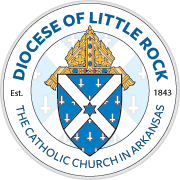 The Tribunal is the judicial office of the bishop of this diocese. The Tribunal interprets and applies the laws of the Church in the protection and vindication of rights as well as the determination of the status of persons in the Church. Although the majority of its work is resolving questions of marital invalidity, the Tribunal may deal with other sacramental matters as well. Tribunal staff members are available to answer questions or to give presentations on the law as it applies to the life of the Church and her members. One of the roles of the Tribunal is to examine whether or not a marriage was a valid bond. If it was between two baptized persons, we examine the facts to discover if the marriage was a valid sacrament. The tribunal staff includes men and women of all ages and states of life. Advocates assist those who want to submit a petition of invalidity to the tribunal. The director ensures that the process moves along in an expeditious manner. The judges look at the Church's marriage law in relationship to the concrete circumstances of two persons who exchanged consent to marriage. The judicial vicar administers the Tribunal in the name of the bishop. All of the personnel of the tribunal are appointed by the bishop. Should a person want to question the validity of his or her previous marriage/s, he or she works with an advocate to prepare a case to submit to the tribunal. A first step is to complete a preliminary questionnaire offering basic information about the marriage/s in question. Next, the tribunal officers determine which process will be used to resolve each case. Each process is distinct. For this reason, the tribunal can never provide a certain time frame within which the case will be decided. There is no way of knowing for sure how long each case will take. Should you desire to inquire about a declaration of invalidity, please contact your parish priest, an advocate or the tribunal for more information. To learn more, see Procedures in a Formal Case.